We had a brilliant day celebrating Rosie's 2nd birthday this week. On one hand it feels like she's growing up so fast, but on the other hand it feels like she's been a part of our lives forever. LBR (life before Rosie) feels like the distant past! My Mum came to visit us from Sydney last week so that she would be here for the big day. Needless to say, Rosie has absolutely LOVED having her Oma around, and it's been so nice to be able to spend the past week getting excited about her imminent birthday celebrations. We started the day early with a trip to Bali's Safari and Marine Park. 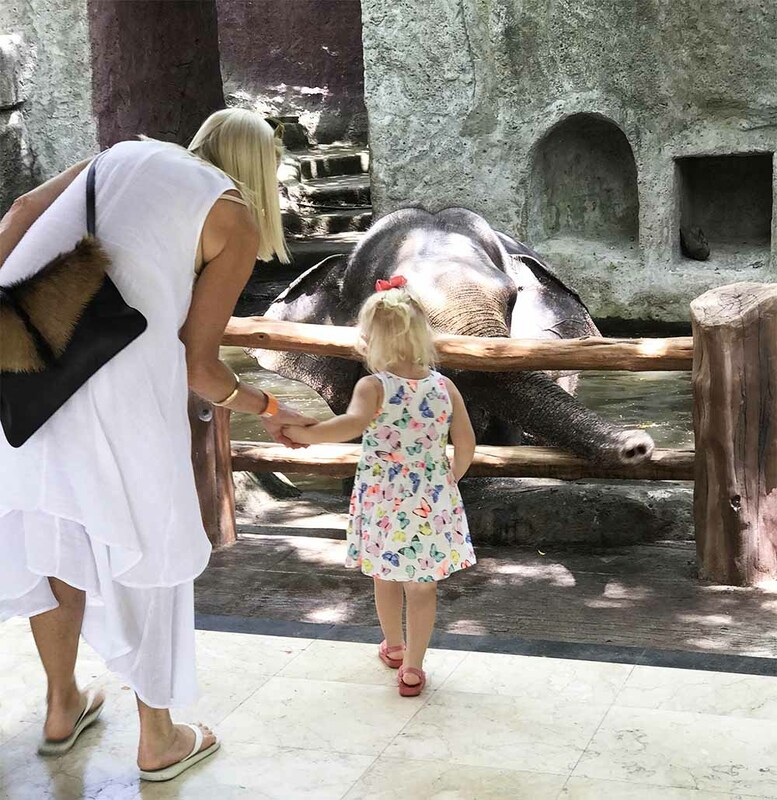 Rosie was initially reluctant to get dressed and out the door, until we reminded her that she'd being seeing elephants... That was all the motivation she needed! Rosie being inquisitive (with the protection of Oma!) 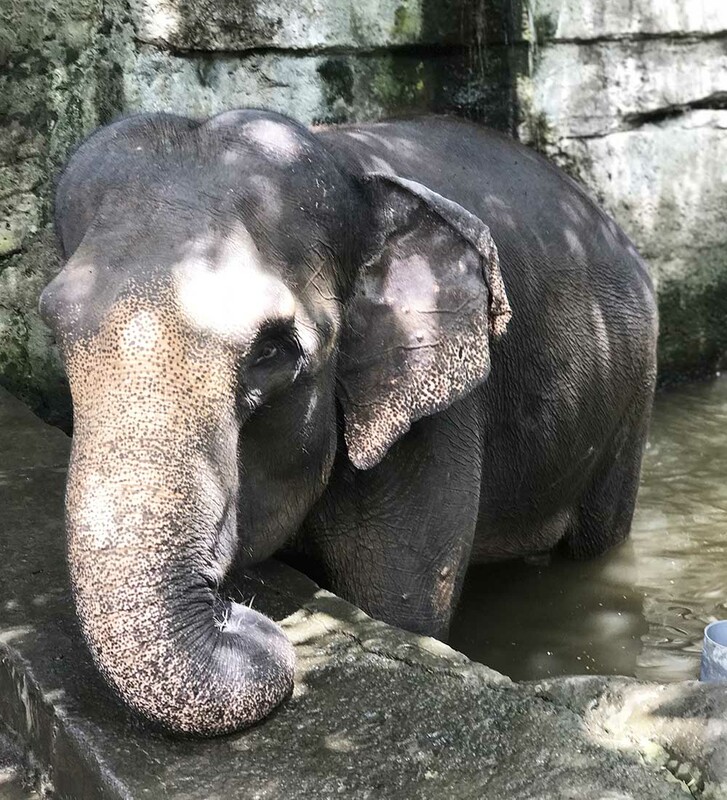 with this sweet baby elephant who was having a bath. 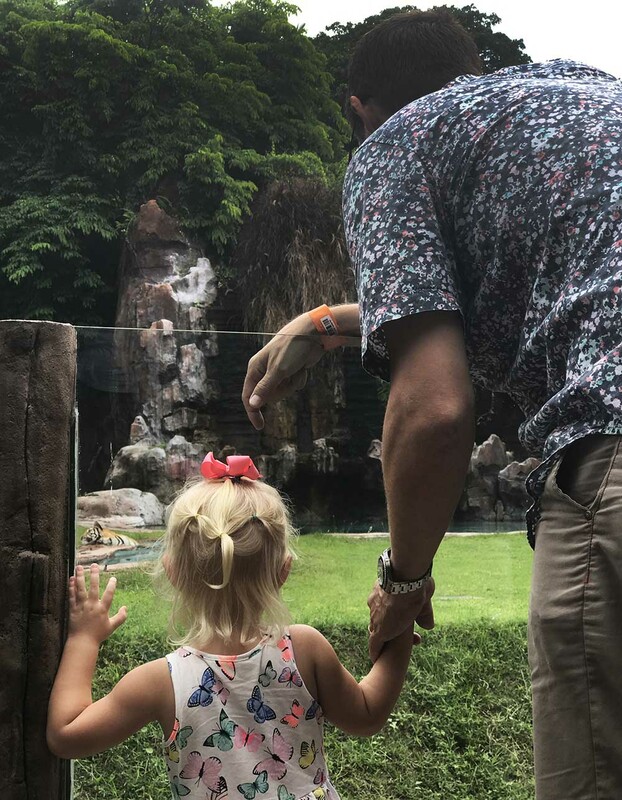 The safari experience for Rosie was very exciting. She experienced some moments of hesitation, but more than anything she was exhilarated and fascinated. This particular safari experience focuses on conservation and education, with the animals clearly nurtured and at home in very large, natural habitats. Rosie was not so interested in getting to know this (very big) guy... understandably! Watching the tigers with her Dad; fascinated. We also had fun meeting some smaller animals in the petting area. The goats and bunnies were more Rosie's size, and she also enjoyed watching the golden carp and turtles swim around in the tropical ponds. Rosie's comfort toy is a grey rabbit affectionately known as Dirty Bunny. Getting to meet and feed "real dirty bunny!" was a pretty awesome moment. We ate ice cream to cool down, and when our legs were tired and Rosie was sleepy we headed home. After a little afternoon nap, we got ready to enjoy a birthday dinner with some friends at our villa. 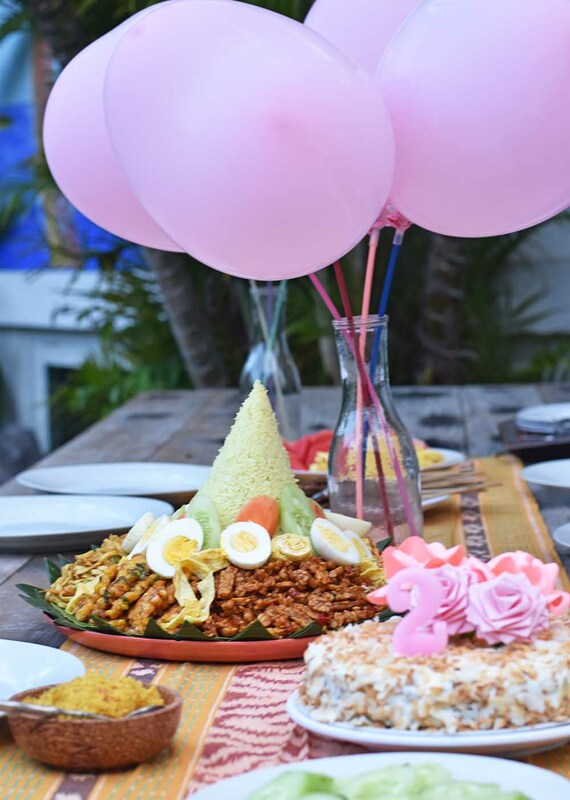 We feasted on a big spread of Indonesian dishes, homemade by Rosie's divine nanny and daughter, along with platters of tropical fruit, and birthday cake. Saffron rice, tempeh, mie goeng, lemongrass shredded chicken and sambal, corn fritters, and sate with peanut sauce, all cooked to perfection with so much love by Wayan and Iluh. We sang many renditions of 'Happy Birthday' and there was no doubt that Rosie understood that this was a special day of celebrations especially for her. Rosie's birthday cake - which she couldn't even contemplate eating after getting so full on prawn crackers, noodles and rice! The evening ended with Rosie trying on her new birthday dress, hair clips and necklace (all at once!) 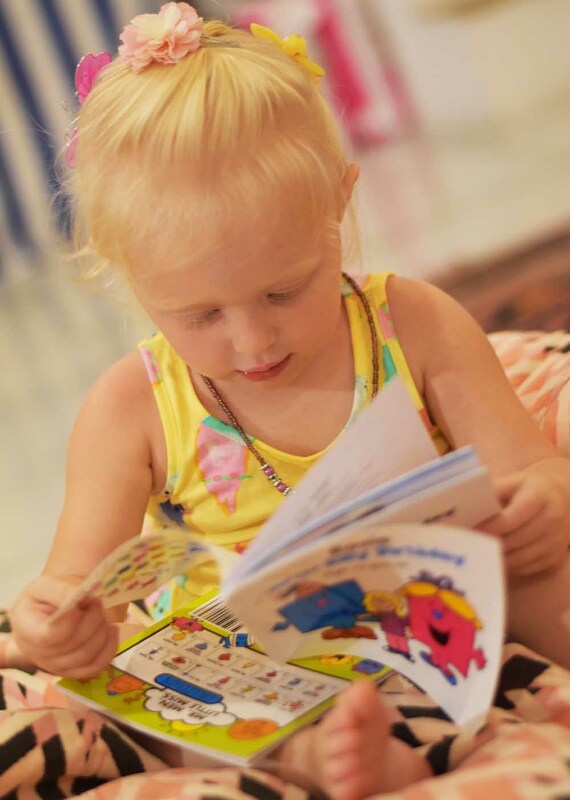 while reading the birthday edition of her new 'Mr Men' book. P.S. Some thoughts on raising Rosie, and celebrating Rosie's 1st birthday in Spain.